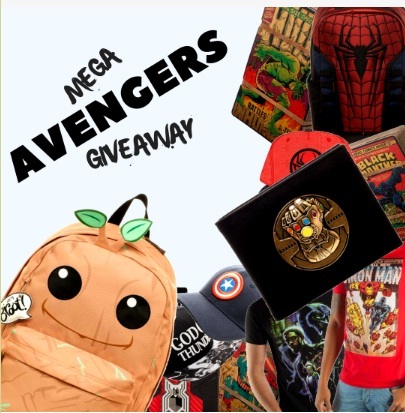 The Parallel star organized Mega Avengers Giveaway for the legal residents of the United States and the Giveaway ends on 3rd June, 2018 at 23:59 Pacific Time(US). In this giveaway 14 winners will be selected and the Prize for the winners is a Marvel collection. Neither purchase or payment of any kind is necessary for entering or winning this Giveaway, because the purchase does not increase your chances of winning. If you participating in the Giveaway you may agree for the Official Rules and decisions of Sponsor and judges, which shall be final and binding in all respects relating to this Giveaway. The Odds of winning this Giveaway is depends on the entries received during the Giveaway. Eligibility: Open only for those who are the legal residents of the United States. Prize (s): A Marvel collection (for 14 winners).